President Dalia Grybauskaitė met on Thursday, January 14, with influential foreign and security policy experts, analysts, influential political scientists, and public opinion makers taking part in the traditional Snow Meeting. This year, the Snow Meeting focuses on the situation in Ukraine and preparations for the NATO summit in Warsaw in July. The President and political science experts discussed the international security environment as well as relevant issues concerning NATO and the fight against hostile propaganda. According to Dalia Grybauskaitė, in almost over a decade the Snow Meeting has become a successful informal high-level platform for experts from various countries to share their insights and experience. The Snow Meeting took place in Trakai on January 14-15. Lithuanian President Dalia Grybauskaitė has accepted letters of credence from Volodymyr Yatsenkivskyi, Ambassador of Ukraine. In a brief speech, the President emphasized that Lithuania has always supported Ukraine’s independence and fight for its democratic future; therefore, it is important to further ensure Lithuania’s political and practical support to Ukraine. Among the other issues discussed at the meeting was the situation in Eastern Ukraine and deeply concerning renewed military actions.The President and the Ambassador discussed Ukraine’s ongoing reforms in the judicial, banking, anti-corruption, energy, and other sectors. Economy Minister Evaldas Gustas told on Monday, January 11, that 10 million euros will be allocated to attract foreign investors. «To attract foreign investments to Lithuania the Ministry of Economy will allocate 10 million euros of the European Union (EU) investment funds under the «SmartInvest Lt» measure. We will allocate the EU investments to foreign investors who carry out R&D activities, create or develop the company’s infrastructure in this area and introduce innovation. Also, the project operators will have to dedicate at least 20% of the created new jobs to research jobs and keep them for a period of at least five years. Foreign investors may submit applications until April 11 of the current year,» minister said. Only projects which belong to the same specialisation trend category may compete for the funding. Uber Lithuania Software and Development has joined the Lithuanian Business Confederation, a group that unifies the biggest service companies in the country. According to the president of the confederation, Valdas Sutkus, «Uber will make a breakthrough in passenger transportation services, because this service can be provided by anyone who has a properly working car». The digital platform will allow students or older people to earn additional money at a convenient time because there are no heavy restrictions. Prime Minister Algirdas Butkevičius met on Thursday, January 14, with President of the Belgian Senate Christine Defraigne, who was on her visit to Lithuania. In the meeting, bilateral relations have been discussed. The Prime Minister has stressed the interest to strengthen economic cooperation, and has thanked Belgium for its active engagement in NATO’s air-policing mission in the Baltic region. «We appreciate excellent political, economic, and cultural relations between Lithuania and Belgium, as well as our sustainable partnership in the European Union and NATO formats. We are particularly grateful for the visibility of your forces in our region, which helps ensure security for all the three Baltic states ,» said the Head of Lithuanian Government. Direct investment in Lithuania by Belgium currently totals 125.54 million euros, and Belgium is on the list of top 20 foreign investors in Lithuania. Lithuanian PM Algirdas Butkevičius and the First Deputy Chancellor of the Government Rimantas Vaitkus have met with members of the American Jewish Committee. In the meeting, Lithuania’s efforts to restore historical justice and preserve the Jewish cultural heritage in the country have been underlined, close cooperation between the Government and the Lithuanian as well as international Jewish communities has been noted, and opinions and insights into international developments have been shared. Executive of the American Jewish Committee David Harris said that the time of the visit in Lithuania was not accidental; it is because members of the Committee wanted to express their solidarity with the Lithuanian nation. He has noted that the American Jewish Committee had been among the first US non-governmental organisations that had urged the US administration to recognize Lithuania’s independence. Prime Minister Algirdas Butkevičiusmet on Tuesday, January 12, with in-coming ambassador of Greece to the Republic of Lithuania Iraklis Asteriadis. During the meeting, the Head of Government has stressed the importance of strengthening economic relations, discussed prospects for direct flights Vilnius-Athens, and highlighted the need for the two countries to implement the European Union measures in the field of migration. Over the recent years, Lithuania-Greece trade turnover has come up by 39%, thus witnessing the growing interest from the businesses of the two countries. Prior the day, Butkevičius met with new Hungarian Ambassador Zoltan Jancsi to discuss bilateral relations and further cooperation in the international format, particularly focusing on the European Union and NATO. Igoris Molotkovas, a Kalashnikov-brandishing escapee who ran away from negligent police officers’ in the Lithuanian capital Vilnius in November was the most searched on the Internet person in Lithuania last year. Google search results also show that Lithuanians were keen on solar eclipses and basketball among other things. Lithuanian Foreign Affairs minister Linas Linkevičius and the United States Assistant Secretary of State Victoria Nuland have discussed the implementation of decisions on NATO’s adaptation to the changed security environment in the run-up to the NATO Summit in Warsaw. In the meeting, the officials also exchanged their opinions on Russia’s role in the conflicts in eastern Ukraine and Syria. The meeting was dominated by a consensus that sanctions against Russia should remain in place until full implementation of the Minsk agreements on the resolution of the situation in eastern Ukraine. The officials discussed issues related to defence cooperation among the United States of America, the Baltic and the Nordic countries, as well as energy security and the need to strengthen the dialogue with the Eastern Partnership countries. Lithuanian Foreign Affairs minister Linas Linkevičius met on Thursday, January 14, with the United Kingdom’s Minister of State for Europe David Lidington. The meeting focused on issues related to EU reforms, security policy, relations with Russia, the situation in Ukraine and bilateral agenda. 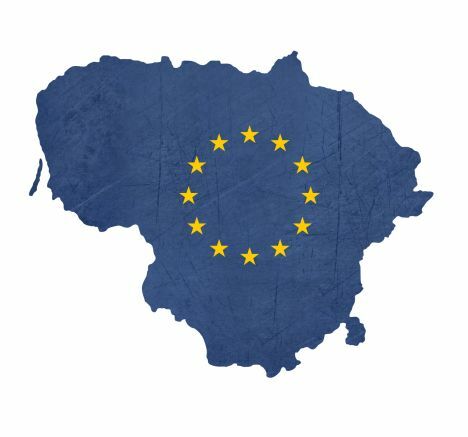 As regards the possible EU reforms, Linkevičius noted that Lithuania was willing to look for solutions to strengthen the EU. «We support proposals to promote the EU’s competitiveness and to reduce the burden of business regulation. We also understand that the UK has a right to choose the depth of integration with the EU. However, the proposed reforms cannot discriminate against the citizens of the EU and violate the fundamental EU principle – the freedom of movement of persons,» said Lithuania’s Foreign Minister. Ryanair is following into the footsteps of arch-rival Wizz Air and announced it will be offering flights between London and Palanga starting late March. The Foreign Affairs minister Linas Linkevičius and the newly-appointed Ambassador of Moldova to Lithuania Valeriu Frija discussed on Monday, January 11, the situation in Moldova and topical issues related to bilateral cooperation between Lithuania and Moldova. Lithuania’s Foreign Minister stressed that reforms in the field of justice, the fight against corruption and the banking sector were necessary in order to restore trust of the people of Moldova in the country’s institutions and in its chosen European path. Linkevičius expressed his belief that Moldova would overcome the ongoing crisis and would form a new government, which would resolutely implement the necessary reforms. The same day the Moldovan Ambassador presented his letters of credence to the President of Lithuania Dalia Grybauskaitė. At the Policy Forum on the Future of Work hosted by the Organisation for Economic Co-operation and Development (OECD) in Paris on January 14, Lithuanian Minister of Social Security and Labour Algimanta Pabedinskienė stressed that in responding to the changing conditions in the field of labour, the fundamental principles of human rights cannot be forgotten. «In dealing with the new challenges of the changing world such as unemployment, poverty, population ageing, salary differences and shadow economies, we have to ensure decent work and social protection and encourage labour mobility,» said Pabedinskienė.